SANTA CLARA, Calif. (KGO) -- A major announcement was made on Tuesday about a Super Bowl 50 event that raises money to fight hunger in America. 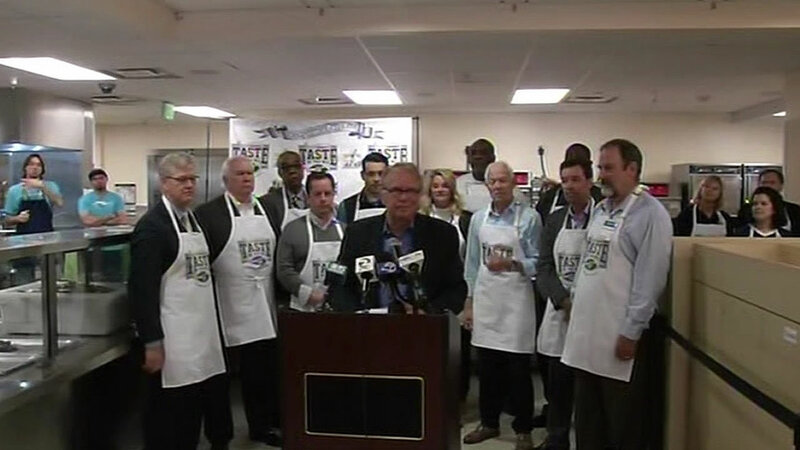 The NFL and Super Bowl committee organizers gathered at St. Anthony's dining room to announce the date for the league's annual "Taste of the NFL" celebration. The event, which features food prepared by local chefs, will be held Jan. 6, at the Cow Palace. All proceeds go to food banks in NFL cities. "Taste of the NFL" also features other local events. You can find more information here. For full coverage on Super Bowl 50, click here.